A pool at the BBOWT reserve at Snelsmore Common near Newbury. A very pleasant image. 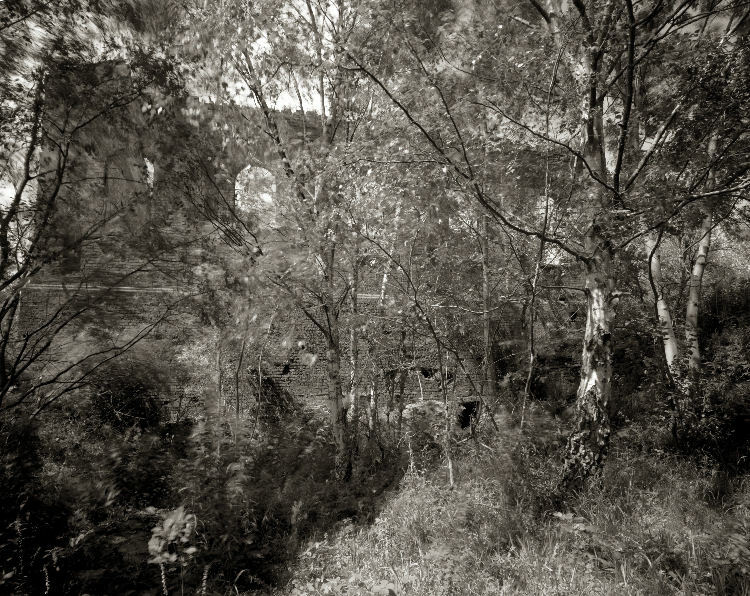 Although it's not the same composition, it reminds me of John Blakemore's Lathkill Dale. If I may be very picky, I'm not quite sure about including all the very detailed foreground. Like David, I also think that it is vaguely reminiscent of Blakemore's photo of Lathkill Dale, largely because it has a strong feeling of tranquillity. Blakemore gave his image a Latin (?) name -Lila. No doubt just to put a bit of a bob on it. Over to David - the educated one here - to explain the meaning of the word. I just looked it up. It's Arabic. And it' a girls name meaning "night". Now I am confused. Over to you David. James, I notice you used an aperture of f16. This is practically wide open on a 5x4 camera. Just wondering why you didn't stop down more, which could have brought the foreground into sharper focus. I have to deny the accusation of being the educated ONE. Everybody here seems to know more than me. I can count up to twenty quite easily with my socks off and remember most of the alphabet, from QWER to M,./ most of the time. It seemed worthwhile finding out what John himself had thought so I went to johnblakemore.co.uk. He says that it's a Sanskrit word meaning "play." That's not the image itself, but the title of the exhibition, of which it formed a part. While you're there, see what treasures are available at very modest cost. See what you've already missed. Christmas is, of course, coming. I don't have an issue with including the foreground but perhaps I'd burn it in slightly as it's a bit bright. It was to a very great extent just a test shot, getting to know the camera. It's a pool I've shot several times, (mostly 35mm) and usually there's much more water and then there's a horizontal(ish) tree that comes in the foreground, but that would have left a huge expanse of mud. I doubt that stopping down more would have helped much as then the movement of the trees would have been a problem (also 35mm and MF habits die hard). I had never heard of John Blakemore, but I do see why some have seen a similarity. The 180mm Xenar is a Tessar design, they give their best overall sharpness at f22 corners and edges tend to be slightly soft at f16 but with this FL on a 5x4 camera this wouldn't be an issue. At f32 and f45 some say LF lenses are diffraction limited and lose sharpness but in practice that extra DOF may be more important. John Sexton uses f32 and f45 at times and his work is superb. Ian, I never worry about losing a bit of sharpness because of diffraction. If I need f45 to get the depth of field to cover what I want sharp, then I use it. After all, what's the alternative? Something that might be really unsharp. I have to say though, you need more than f32 and f45 to make photographs like John Sexton. I used the term "some say" because I've used LF lenses at f32 & f45 (and even f64 and f90) when I've needed to with no problems. I do tend to shoot at f22 though much of the time, just occasionally f16, that's for landscapes. I'll shoot wider for portraits. If the lens is of sufficient quality, the format makes no difference to when diffraction becomes important. The linear size of the Airy disk in the focal plane is a function of f-ratio and wavelength alone. Approximately the size is f-ratio × wavelength / 1.2, and if that is bigger than the film grain then you are diffraction limited. For the very finest grain films (e.g. Adox CMS-20) diffraction becomes important around f1.2! P.S. the Xenar will only stop down to f32. I think my very late version Schneider 150mm f5.6 Xenar stops down to an unmarked f90, just checked and it's marked to f64, my other Xenar's a 135mm f4.7 and 150mm f4.5 stop to a marked f32. There's theory and practice/experience and the latter is more important when we're out shooting. As Geoffrey Crawley wrote in 1960/1 there's no point shooting very slow film with a high acutance developer unless you have an excellent lens (or lenses) that can match the resolution of the film/developer combination, and use a good sturdy tripod and optimum aperture. In the 70's there was a trend to use slow copy films and later Technical Pan in 35mm to achieve so called "LF quality", one problem was they were higher contrast films and the tonality was quite different even in specialist developers, the other was they were very slow. There were films that could get you close like EFKE 14 (renamed 25) and Agfa AP25 later APX25 but as these were also available a LF sheet film and 120. So we weigh up the advantages/disadvantages, I did shoot AP25/APX25 in 120 in a RF back with my 5x4 camera (it had just been discontinued in 5x4) and that compared extremely well to 5x4 APX100. It could certainly be made more dramatic if required. Is it an image of a dramatic scene? I suggest that it's not. It seems to offer the feeling of a quiet day with soft but directional lighting. I don't suggest that it is the greatest image in the world, but neither is it the worst. Now I come to think of it more carefully, I'm not entirely certain what "tonally weak" means. I thought I understood it when I began to write, but now I can't pin down exactly what the remedy would be. There is a good deal of mid-grey, but that's the nature of the scene. The tonal range seems to run from black to just a point off pure white, although there are no big areas of either. In all this, I have to add: "on my screen." Martins's screen may be better adjusted and I may have mine set badly. I am rather casual about it. 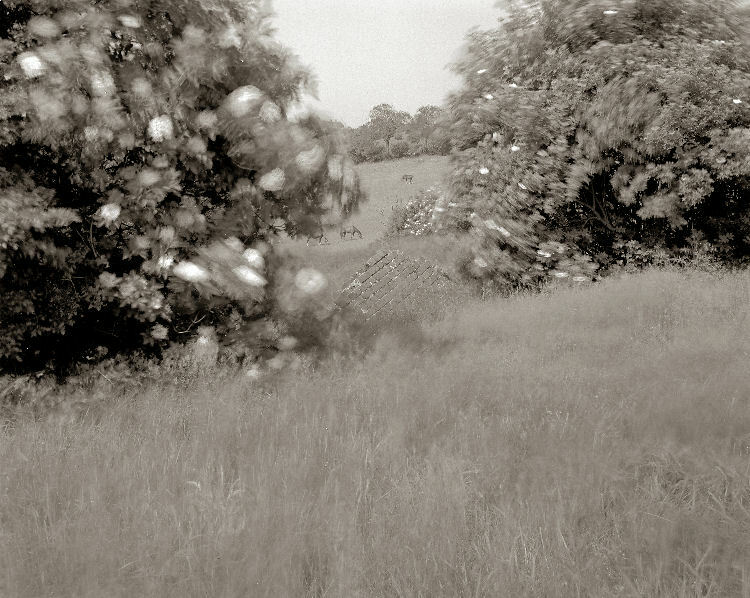 On an earlier comment, I'd like to say we are all engaged in a war between wind speed and shutter speed. In earlier threads I've posted images in quite windy conditions and with either slow shutter speeds or multiple (fragmented) exposures. I think in the case of the OP's image here it's being in the right place at the wrong or rather not a better time when the lighting would be more favourable. By tonally weak I am meaning a lack of contrast and many tones all of a similar value, if its what the photographer wanted to produce, then that's fine, just my opinion, a remedy would be to increase contrast a little to separate the darker areas from the lighter ones, this would add a certain punch and visually a separation of parts within the picture, as I am assuming it was taken in full sunlight and partial shade from one side. I also would not say its the not best or worse, however, friendly suggestions and ideas can be helpful or disregarded, either way, we learn the craft from both.